"My epitaph? My epitaph will be 'Curiosity did not kill this cat,'" Studs Te rkel once said. The author and radio host died today at the age of 96. "At his bedside," the Chicago Tribune reported, "was a copy of his latest book, 'P.S. Further Thoughts From a Lifetime of Listening,' scheduled for a November release." 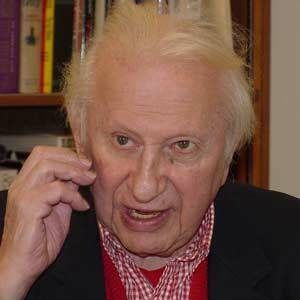 Historians have especially valued Terkel's works based on oral history interviews, including Working: People Talk About What They Do All Day and How They Feel About What They Do, Hard Times: An Oral History of the Great Depression and The Good War: An Oral History of World War II, for which Terkel was awarded the Pulitzer Prize. In 1997 he was awarded the National Humanities Medal and the National Medal of Arts. He never practiced law. Instead, he took a job in a federally sponsored statistical project with the Federal Emergency Rehabilitation Administration, one of President Franklin D. Roosevelt's "New Deal'' agencies. Then he found a spot in a writers project with the Works Progress Administration, writing plays and developing his acting skills. Recordings from Terkel's radio programs and oral history interviews are here. Over the past thirty plus years Justice Stevens has played a special role in the jurisprudence of antitrust. He came to the Supreme Court after a successful career as an antitrust litigator, scholar, law teacher, and federal appellate judge. Justice Stevens applied the special insights this background provided to articulate a unique voice in shaping antitrust. While much of the antitrust debate since World War II has concerned the proper legal standard for assessing the competitive impact of agreements under the antitrust laws, Justice Stevens has focused much of his analytical work for the Court on a more sophisticated, but no less important, question - how should a court actually determine whether an agreement unreasonably restricts competition in violation of the antitrust laws. In antitrust terms, the question for Stevens was not so much whether the per se rule or the rule of reason applied in a particular case, but what does the rule of reason actually mean and how should it be applied. In this article, I examine the distinctive voice Justice Stevens brought to antitrust, some of the personal and professional influences that created this voice; and the impact of Justice Stevens on the antitrust jurisprudence of the Supreme Court in defining the rule of reason and its application. I argue that Stevens, more than any Justice, helped define the rule of reason as a single unitary continuum in analyzing agreements under Section 1 of the Sherman Act and further defined what counted as potential legitimate justifications under the rule. Part I lays out Justice Stevens's student and early professional career and the influence that Professor James Rahl of Northwestern University School of Law had on Justice Stevens and his antitrust philosophy. Part II analyzes the litigation practice, scholarly writing, and limited antitrust appellate opinions of then Judge Stevens for further clues as to his evolving antitrust philosophy. Part III examines the numerous Supreme Court opinions authored by Justice Stevens which analyze the critical issue of what the rule of reason actually means when it applies in a case. Finally, I conclude that Justice Stevens' most important contribution in antitrust was to redefine the rule of reason from an empty analytical box in which defendants automatically prevailed into the core tool of modern antitrust law in which courts conduct a more meaningful analysis of the competitive impact of agreements. We try to be inclusive and non-partisan at the Legal History Blog. But as for Frank, well, he's been terrified ever since the Republican National Convention. Frank's hairstyle designed by Ruth Regina at Wiggles. The outfit, sorry to say, is not from Neiman Marcus. This paper revisits the creation of the modern Greek state in the early nineteenth century and the role that family law played in the process of generating a sense of national identity. According to the mainstream legal historical narrative Greeks managed to survive as a nation during the Ottoman years thanks to the consistent application of family law rules by the Orthodox Church. This paper reinterprets the standard narrative as the result of the institutional compromises struck between the Orthodox Church, westernizing revolutionary Greeks and local leaders at the moment of creation of the Greek state, rather than a reflection of the legal realities on the ground. It argues that competition between the Orthodox Church, Islamic judges, and local secular leaders on precisely the issues that the Church considered under its exclusive jurisdiction (marriage, divorce, inheritance) had resulted in a highly fragmented legal picture right before the creation of the Greek state. Despite this fragmentation, the first regent for judicial affairs of the nascent state, Bavarian Georg Ludwig von Maurer, argued in his seminal book "The Greek People" that Greek Orthodox canon law had been applied consistently throughout the territories of the Greek state and that the Greeks has survived as a nation partly thanks to the efforts of the Church which saved the Greeks from 'barbarism'. The institutional compromise he then fashioned for Church/State relations rewarded the former, by making it an important institutional player on marriage and divorce in the new state. The last part of the paper discusses the importance of revisiting the history of the state's role in generating narratives of national identity for European politics, at a moment when the distribution of resources between European citizens and non European, often Muslim, non citizens living and working in Europe is increasingly justified or tacitly accepted through appeals to notions of concrete, coherent national identities. The dynamics of relying on a named or unnamed uncivilized 'other' against whom identity formation takes place seems to be repeating itself today with a vengeance in the case of Turkey's accession to the European Union, and the thinly veiled civilization vs. barbarism discursive themes emerging there. Not accidentally, they are heavily concentrated in the field of family law. Without suggesting that revisiting history will solve current political problems by deductive magic it can at least help push against the more essentialist, 'clash of civilization' versions of identity that have remade their appearance in political discussions in Europe. This is the preface and opening chapter of a forthcoming book on Oxford University Press about the way that geography shapes legal rules and understandings - and how fundamental changes in American power and in world politics have challenged and sometimes altered the traditionally territorial system of legal jurisdiction. Do the laws of the United States stop at the water's edge? If not, do they operate differently beyond American territory? These questions often arise today with regard to hot-button issues such as the future of Guantanamo. But they have a long and fascinating history, dating back to the American Revolution and encompassing episodes as varied as the military occupation of parts of Mexico, the U.S. District Court for China, American empire after the Spanish-American War, extraterritorial regulation, and postwar Status of Forces Agreements. This book explores changes in territoriality and extraterritoriality through these episodes, covering questions of both constitutional and statutory law, world and domestic politics, and internal and external borders. Two main arguments are advanced. First, instances of extraterritoriality, while varied, share a common ground in their focus on managing and minimizing legal difference, differences that are a direct result of the territorial basis of sovereign rule, which has been the organizing principle of the international system for centuries. Second, American law has long employed what I call intraterritoriality as a way to facilitate the power of the United States. The United States comprises a complicated mix of territory. Within the states constitutional rights apply fully, but throughout much of American history only a limited set of rights have applied in other U.S. territories. Intraterritoriality is in a sense a mirror of extraterritoriality. Extraterritoriality generally serves to mitigate difference, whereas intraterritoriality generally serves to establish difference. Throughout the book I contend that we cannot understand the evolution of extraterritoriality and intraterritoriality in U.S. law without understanding the broader international context. American notions and doctrines of territoriality were themselves drawn from international law. Yet these notions and doctrines evolved over time to reflect American national interests. As the United States grew from a weak state to a global superpower, and as the nature of world politics itself changed, principles of both extraterritoriality and intraterritoriality have been transformed. Late Roman legislation regarding the inheritance rights of nonmarital children is a tangled web of seemingly conflicting constitutions. Focusing on the period 371–428 AD, this Article argues that, when two particular Western laws from that era are considered alongside others issued at the same time, it is possible to discern some wider legislative trends that may help to contextualize the different attitudes shown toward nonmarital children. C.Th. 4.6.4 (371), a Western law beneficial to nonmarital children, can arguably be linked with another Western law issued shortly afterward granting a privilege to the daughters of actresses, another disfavored class in the late empire. On the other hand, the later Western constitution C.Th. 4.6.7 (426–427), the exact content of which is uncertain and disputed, appears to have been issued at a time when the Western consistory was especially concerned with promoting the interests of legitimate heirs. This lends support to the theory that the Western C.Th. 4.6.7 (and not a subsequent Eastern constitution hypothesized by Antti Arjava) was the law referred to in C.Th. 4.6.8 (428) as adopting a harsh position with regard to nonmarital children. This article discusses the meaning of familia in early Rome. The word seems originally to have had no meaning coincident with the modern word “family.” Rather it carried one of two other broad meanings, the earlier one economic, the later one based on relationship. It referred first to the economic family, analogous to patrimony, but including the family house, and even the group of persons who lived in the family house. It next came to signify a group of persons joined by relationship, eventually undergoing division into familia proprio iure and familia communi iure, assimilated respectively to the much older notions of adgnatio and cognatio. 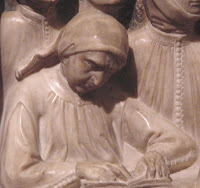 This article examines the process whereby legal principle was created in the formative period of the ius commune (1100–1400). It uses a specific example from the realm of the law of letting and hiring to argue that distinct phases can be identified in this process. An appreciation of the existence of these phases, in turn, casts new light on the variety of specialized cognitive techniques employed by medieval jurists to transform Roman legal rules into the “common law” of Europe. Image credit. Hat Tip: H-Law. 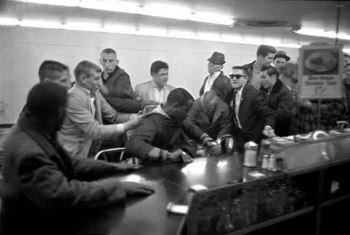 This article revises the traditional account of why the Supreme Court, when faced in the early 1960s with a series of cases arising out of the lunch counter sit-in movement, refused to hold racial discrimination in public accommodations unconstitutional. These cases are the great aberration of the Warren Court. At a time when the justices confidently reworked one constitutional doctrine after another, often in response to the moral challenges of the civil rights movement and often in the face of considerable public resistance, they broke pattern in the sit-in cases. And they did so despite a transformation in popular opinion in support of non-discriminatory access to public accommodations-a transformation largely brought about by the sit-in protests, which initiated a far-reaching national reconsideration of the scope of the constitutional equal protection guarantee. Traditional explanations have emphasized the doctrinal complexities of the "state action" limitation on the Fourteenth Amendment and institutional limitations of the judiciary in dealing with the problem of private discrimination. While these factors played a role, I argue that a key reason the sit-in cases failed to fundamentally reshape the reach of the constitutional antidiscrimination requirement was the Supreme Court's refusal to tolerate civil disobedience. In the early sit-in cases, the justices avoided the crux of the state action dilemma, instead attacking southern resistance to Brown v. Board of Education and overturning protesters' convictions based on the existence of official state segregation policy. By 1964, when the Court confronted a case in which there was no state segregation policy to strike down, the increasingly confrontational tactics of the civil rights movement led several justices to become antagonistic toward efforts to challenge laws and practices, however unjust, outside the judicial process. Now it was the disobedience of the civil rights protesters that prevented a majority from supporting the protesters' constitutional claim. In the end, concerns with protecting the rule of law in the face of a society that seemed pulled in increasingly lawless directions prevented a doctrinal revolution. In the first period from 1810 to 1860, instrumental and moral arguments were rare or non-existent, and instead, courts relied on simple assertions or minimalist citations to precedent in establishing a general negligence rule. In the second period (the 1870s and 1880s), American courts defended the general negligence rule with economic arguments not as a primary justification, but as a defense against the English challenge in Rylands. 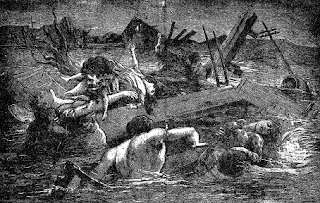 In the t hird period around the turn of the century, state judges, partly reacting in horror to the disastrous Johnstown Flood of 1889 [imagined, in all its horror, at right] and other unnatural modern threats, turned to strict liability with moralistic corrective justice arguments, not instrumental arguments. The cases from this last period illustrate a number of moral arguments in favor of strict liability: choice and duties; fairness (those who profit from an activity should pay those they hurt); a social contract argument of reciprocity; and a rights argument in favor of the natural user over the unnatural innovator. Instead of enterprise liability emerging from post-Great Depression/New Deal politics, from twentieth-century academics, or from engineers overlooking the factory floor, it gained significant ground in the late nineteenth century from the murky depths of a flooded Pennsylvania valley. This historical study of the dramatic twists and turns on Rylands suggests that tort doctrine and tort theory are contingent upon events and context. Few racially motivated crimes have left a more lasting imprint on American memory than the death of Emmett Till. Yet, even as Till's murder in Mississippi in 1955 has come to be remembered as a catalyst for the civil rights movement, it contributed to so mething else as well. Precisely because it came on the heels of the Supreme Court's 1954 ruling in Brown v. Board of Education, Till's death convinced Mississippi Governor James P. Coleman that certain aspects of the state's handling of racial matters had to change. Afraid that popular outrage over racial violence might encourage federal intervention in the region, Coleman removed power from local sheriffs, expanded state police, and modernized the state's criminal justice apparatus in order to reduce the chance of further racial violence in the state. Though his results proved mixed, many of Coleman's reforms lived on, contributing to the end of public torture and lynching as an accepted mode of punishment in the state. This article discusses those changes, suggesting that they not only influenced the fight for civil rights, but encouraged the modernization of criminal justice in the South. This article explores the medicinal cannabis movement in the United States, and the social, legal and political forces that so strenuously oppose it. Despite its proven medical value, marijuana remains misclassified under federal law, misrepresented and misunderstood by most of our drug policy makers. Seizing their role as innovators in our federalist system, California and eleven other states have declared their support for the many doctors and patients who believe in the therapeutic benefits of cannabis. Alongside this tide of resistance runs a rising scientific recognition of marijuana's potential in addressing a variety of diseases and symptoms. Users and advocates of therapeutic cannabis adamantly insist that federal restrictions must yield to medical realities. The range and quality of scientific evidence favoring a medicinal role for marijuana legitimates the social and procedural experiments in progress in a dozen states. But these measures can only effectively proceed and, perhaps, succeed, if the federal government embraces the right of these states to legislate for their citizens' health and safety. The article begins by recounting the history of marijuana legislation in the U.S. and the origins of the plant's undeservedly bad reputation. The evidence of harm from smoking marijuana was not only falsified, but the prohibition of the "killer weed" was aimed at suspect groups, such as jazz musicians, African-Americans, and Latinos. 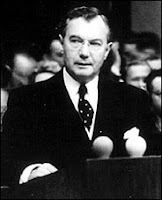 Reputable studies documenting the minimal dangers of marijuana, such as the 1944 LaGuardia Report and the 1973 Shaffer Commission Report, were shelved or discredited by the federal government. The article then explains how cannabis works as medicine, analyzing the therapeutic virtues and risks of cannabis and the growing dichotomy between botanical and pharmaceutical bases for expanding those uses. The legal and scientific dilemmas of medical marijuana also provide a case study in what we term "cultural federalism." The Supreme Court's 2005 decision in Gonzales v. Raich decided the issue of constitutional federalism. But the phenomenon of "cultural federalism," defined broadly as the experience of citizenship in a divided polity, with its psychological, social, and ultimately pragmatic components, remains far from resolved. Indeed, as nationwide popular support for medical marijuana continues to rise, and the number of states enacting statutes permitting its use increases, the implacable and vigorous opposition of the DEA suggests that the contest will become far more destructive before it is ended. The article concludes by examining the complex interaction of cultural and scientific forces which impedes rather than inspires a workable medical marijuana policy. The politics of morality has resulted in a federal prohibition impervious to reason or science, even when voices urging a more tolerant view come from credible, established sources appointed by the federal government itself. Medicinal marijuana use may be accompanied with risks, but it is a substance with proven salutary capacity. Given the overwhelming evidence of therapeutic value, the only reasonable-indeed the only sane-policy option is legalization of medical marijuana. Two countries, one in the Old World, the other in the New, one having attained independence 200 years ago, the other having had to strive for independence repeatedly over those same two hundred years, twice meeting with success - but failing at least four times. At first glance, Lithuania's struggle for independence might be thought to be entirely dissimilar from that of America. Besides anything else, the United States would seem at first glance to have been more fortunate in all of the circumstances of its struggle. But a closer look reveals many parallels to exist between America's struggle for independence two hundred years ago and that of Lithuania during the period 1988-1993, and indeed Lithuania of late arguably has been more fortunate in some of the conditions of its struggle than was America two centuries ago. David Warrington, the Librarian for Special Collections at the Harvard Law School Library, announces that the library has digitized its own collection of the School's catalogs and has made them available on the internet. The catalogues date from 1835/1836, when the only two members of the faculty were Joseph Story and Simon Greenleaf. 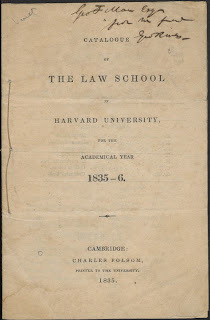 The catalogues document many changes over the next 170 years and provide information on faculty, courses, policies, and student lists, with implications for the general history of legal education in general. Beginning in the academic year 2006/2007, the course catalog is only available online through the Law School's website. 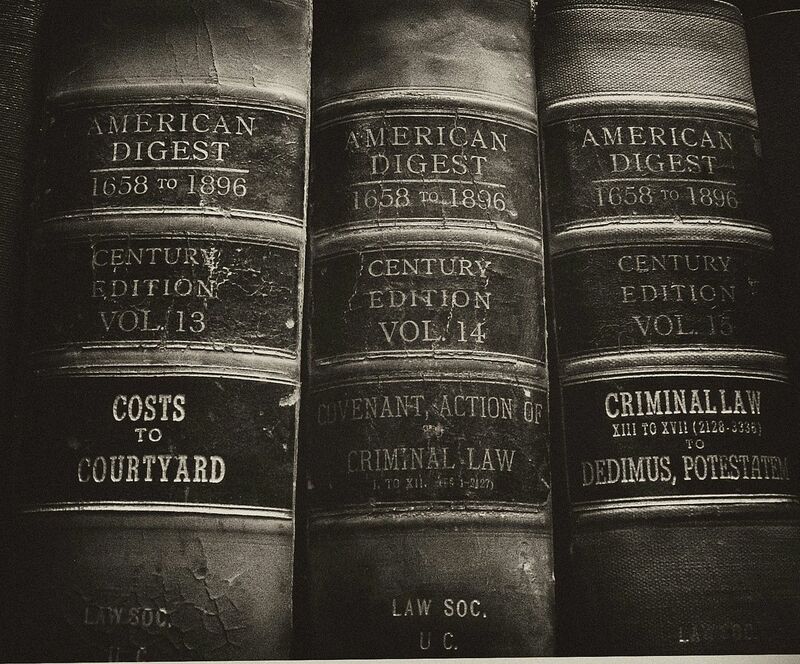 A complete list of the Library's digital collections is here; these include﻿ the Court of Restitution Appeals Reports; "Dying Speeches & Bloody Murders: Crime Broadsides"; the Henry Phillips Papers; "Studies in Scarlet: Marriage & Sexuality in the US and UK, 1815-1914"; "Bracton Online"; and the Nuremberg Trials Project (illustrated at left). This article traces the evolution of the concept of self-determination from the end of World War I, through the era of decolonization, to the present day when it has become embedded in the human rights framework and, in limited circumstances, is used to justify secession. Various national and international cases are examined in analyzing the jurisprudence of self-determination, as well as the new European standards for State recognition after secession. The concept of autonomy is also examined as possibly providing a solution for disaffected minority groups within a greater territorial unit. The article then applies the self-determination and autonomy frameworks to Tibet and examines possible solutions for assessing Tibet's international status. Reviewed: Katzenbach memoir and books on the culture of war, the age of Jackson, and "the new horror"
intimately involved in almost every civil rights crisis of the early 1960s -- the 1961 Freedom Rides, the 1962 desegregation of the University of Mississippi, the 1963-64 efforts to win congressional passage of the landmark Civil Rights Act and the 1965 voting rights crusade centered on Selma, Ala. But he rightly stresses that his...memoir...is "not intended to be a historical work of scholarship." Still, if we can't rely upon the book for entirely dependable accounts of events such as the battle at Ole Miss, Katzenbach's perceptive and insightful portrayals of RFK and LBJ will enrich future histories for decades to come. 226 wars were fought between 1946 and 2002 and that the number of refugees has quadrupled in the last 40 years alone. Indeed, the reduction in the number of wars between modernized countries -- less the result of pacifism, [van Creveld] insists, than of the fear of nuclear holocausts -- merely obscures the undiminished number of conflicts among developing nations. But turning to the future connection between war and culture, Oren finds the book "marred by...repellent and largely unsubstantiated theories," including discussions of pampered and industrialized "Men without chests" who refuse to take up arms, and (you guessed it) feminists. 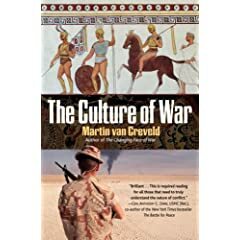 Van Creveld "manages to tarnish [his book's] many contributions to our understanding of the ways in which conflict and societies interact," ultimately leaving "the question 'Are war and culture indeed inseparable?' unanswered." Far more than just a political story or, for that matter, a story of Andrew Jackson, Reynolds’s book shines a bright light on the cultural, social, intellectual and artistic currents buffeting the nation. Read the rest here. Read the first chapter here. Finally, for your Halloween, Bill Sheehan has a terrific review in the Washington Post of POE'S CHILDREN: The New Horror edited by Peter Straub (Doubleday). "What exactly is the 'new horror?'" Straub asks. What makes it different from, or better than, the old stuff? The answers, as Straub notes in his elegant introduction, have their roots in the horror boom that peaked and crashed in the 1980s. The problem lay in the narrow view of horror fiction as a marketing category tied to specific tropes and specific expectations, rather than as a flexible instrument capable of addressing the "essential terror within the human animal." The 24 stories in Poe's Children illuminate that "essential terror" through an impressive, highly personal assortment of perspectives and techniques. The result is a remarkably consistent, frequently unsettling book that does as much to blur the artificial boundary between genre fiction and "literature" as any anthology in living memory. Schragger on Breyer as "The Last Progressive"
This paper considers Justice Breyer's dissent in District of Columbia v. Heller-in which the Court established an individual right to bear arms-as a species of progressive jurisprudence. By progressive, I do not mean a political program but rather an approach to how the Supreme Court views its role and its work. Progressive jurisprudence was developed in the shadow of the relative formalism of the classical jurists and forged in the pragmatic philosophical tradition at the turn-of-the-century. Progressive judges eschewed absolutist constitutional claims; their decisions were fact-based, attentive to changing social conditions, and deferential to legislatures. That progressive attitude has been in decline for some time, for it comes from a conception of the judge that is at odds with two twentieth century jurisprudential trends. The first trend is the idea that rights should be understood as trumps, defined in opposition to the public interest. The second trend is a pervasive skepticism that legislatures or courts do or can ascertain and implement the public interest in the first place. This skepticism has generated repeated efforts to cabin judicial discretion out of a concern that judges are simply engaged in politics by another name. Justice Scalia-the author of the majority opinion in Heller-is deeply skeptical of legislative or judicial attempts to arrive at an honest assessment of the public good. Justice Breyer is less so; the "problem" of judicial power that Scalia's originalism attempts to solve is simply less of a concern for him. "Selling Safety: Crashworthiness, Ford and the 1956 Lifeguard Campaign"
"The 'Modern Monster:' Ordering the Automobile Driver in the US, 1898-1918"
"The Model T in the American Empire, Or, How Manila Got Hooked on Cars"
As long-time readers will know from Mary's earlier posts, John Q. Barrett, St. John's University School of Law, maintains a list to which he periodically sends emails that draw upon his extensive research on Robert H. Jackson, the subject of his biography-in-progress. Earlier posts on this blog are here and here and here. and here. I only recently learned that many of Barrett's posts are archived on his website, here. Women's legal history is developing as a new and exciting field that provides alternative perspectives on legal issues both past and present. Feminist legal history seeks to examine the ways in which law historically has informed women's rights and how feminist discourse has shaped the law. The active scholars come from a variety of academic traditions including law, history, and women's studies. The Constitutional Law Center, established by Congress at the University of Akron School of Law, organized a conference entitled "The New Face of Women's Legal History" to bring together both the senior and emerging scholars in the field. The articles included in this symposium edition of the Akron Law Review and introduced here provide an excellent sampling of the promising work underway in this nascent field. They each explore women's historical use of the law to advance feminist discourse. True to the theme of the conference, the papers evidence the new ways in which feminist scholarship is developing to integrate issues of race, gender, and historical analysis into the legal scholarship. Additional research from the symposium will also be published as part of an edited collection entitled Feminist Legal History: New Perspectives on the Law (T.J. Boisseau & Tracy Thomas, eds.). 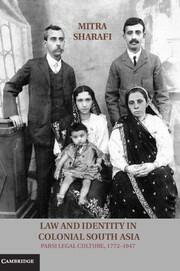 Contributing authors to the book employ the core theme of women's use of the law for feminist discourse in a variety of historical contexts to reframe and illuminate such topics as women's rights in the family, women's participation in the military, women's legal activism in social justice movements, women's roles in the judiciary, and women's status in constitutional law. The papers published here in this symposium edition provide a foray into this expanding field. Details about the symposium and participants are here. A related call for papers (but the deadline has passed) is here. The New England Puritans were famously disciplined: intense in their drive for moral righteousness and a more fully Christianized society. In “ Puritan Godly Discipline in Comparative Perspective: Legal Pluralism and the Sources of ‘Intensity’,” Richard J. Ross attempts to explain this disposition by situating the colony in two contexts not normally considered together. The first is a comparative exploration of post-Reformation campaigns for godly discipline and confession-building. A comparative investigation of legal pluralism among New World settlements constitutes the second. His study begins by considering the assumption of European Reformation historians of an inverse relationship between the effectiveness of godly discipline and a territory’s social complexity and legal pluralism. Contemporary critics of Massachusetts, in fact, viewed the New England way as deficient in precisely those sorts of mechanisms, available in other Reformed polities such as Calvin’s Geneva and seventeenth-century Scotland, which could coordinate among different congregations and police the boundaries between the civil and ecclesiastical realms. These critics predicated that schism, oscillations between enthusiasm and lethargy, and inconsistent standards of judgment and administration between clashing churches and civil authorities would together undermine the colony’s discipline. They were, however, wrong. And part of the reason lies in Massachusetts’ low level of social complexity, at least as compared to European Reformed societies, and its relatively modest degree of legal pluralism. The colony’s experience challenges the expectation of scholars of New World pluralism. Rather, the historiography of European confession building offers an insight into family resemblances among settlements in different regions that were pursuing parallel programs of intense godly discipline and Christian education. In short, evidence from the New World can contribute to debates among scholars of the “confessional age” by demonstrating the importance of legal history in understanding the level of godly discipline. Update: Ross's article, together with his own abstract, is also available on-line as an SSRN paper here. The Program in Law and Public Affairs (LAPA) at Princeton University announces its fellowship program for the 2009-10 academic year. The announcement is below; more information is here. 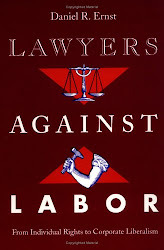 Morgan v. United States (1938), a case about whether an obscure bureau followed the proper procedures under an obscure statute is easily overlooked by political historians given its proximity to such constitutional landmarks as West Coast Hotel Co. v. Parrish (1937) and NLRB v. Jones & Laughlin Steel Corp. (1937). It ought not to be. Morgan intensified an already polemical debate about the compatibility of bureaucracy and individual liberty. Uncertainty over the decision’s precedential reach sent government lawyers scurrying to correct suddenly perceived vulnerabilities, even as they fought congressional legislation that would have gone beyond Morgan to saddle agencies with time-consuming procedures and subject them to more court challenges. Franklin D. Roosevelt’s veto of the Walter-Logan bill in December 1940, the publication of the report of an administration study group soon thereafter, and mobilization for war brought more than three years of debate on the place of administration within the American polity to a close, largely on the position Hughes had defended in Morgan. Americans would have their national bureaucracies and their freedom, too, but only on terms that preserved lawyers’ longstanding dominance of the American state. This article commences with the decision itself: Morgan’s origins, its consideration and disposition by officials of the U.S. Department of Agriculture, its progress through the federal courts, and the opinions of the Supreme Court, which directed federal administrators not simply to act “in the spirit of the just judge” but also to respect “the essence of due process in a proceeding of a judicial nature” as they did. 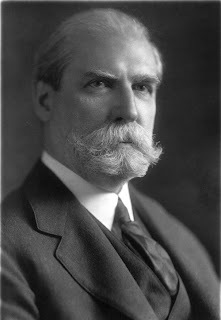 To see that Chief Justice Charles Evans Hughes sought not a restoration of the nineteenth-century state of courts and parties but the consolidation of the New Deal state, the article travels back to his vigorous defense of public utility commissions as governor of New York and see how he reconciled his Progressive faith in administration with the court-centered notion of the Rule of Law propounded by the Oxford law professor A.V. Dicey. The version that Hughes championed in Morgan, which I will dub “procedural Diceyism,” accorded administrators a great deal of freedom from judicial oversight, as long as they handled disputes in ways that mimicked the courts. New Dealers, in contrast, lacked Hughes’s faith in the judiciary. Judicial norms of due process would deny administrators the discretion to handle the complex problems of a modern society, the New Dealers argued, and they would permit lawyers in private practice to delay or defeat needful policies. These recent graduates of elite law schools especially bridled at Hughes’s strong hint that the status of judge-like officials known as trial examiners be elevated, because this internal separation of judicial and prosecutorial functions would lessen the legal division’s control over an agency. In time, however, even the New Deal lawyers had to acknowledge that their agencies depended on lawyers in private practice to gather information and obtain the compliance of their clients. Due process was the price private practitioners exacted for their cooperation. Adversarial proceedings, decision-making on a record, and other judicial norms became widespread even in New Deal agencies well before they were formally enshrined in the Administrative Procedure Act of 1946. A peculiarly American form of bureaucracy, a government of lawyers, thus emerged in the wake of the Morgan case. Welfare is dead; but social rights are coming back. The 2008 election has brought the right to health care, to decent education, even to decently paid work back into circulation. What forms might a rekindled social citizenship take under a Democratic administration? What are its promises and perils? And for those concerned about the perils of exclusion for poor people of color, what might be done to push an Obama administration toward more pro-poor policies? 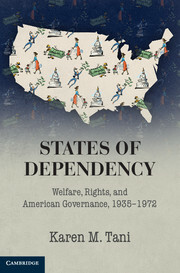 What might a poor people's movement look like in the 2010s; and what can we learn from the strategies, insights and blind spots, the achievements and shortcomings of the Welfare Rights Movement of the 1960s? This review essay offers a few reflections. The Four Freedoms: Good Neighbors Make Good Law and Good Policy in a Time of Insecurity is an SSRN paper forthcoming in the Fordham Law Review by Mark R. Shulman, Pace University School of Law. Here is the abstract. This essay explores the ways that the Four Freedoms were intended to address the dire circumstances of the Second World War. It analyzes the historical context of the 1940s in which the Four Freedoms first emerged, how they formed the basis of the International Bill of Human Rights, and how they evolved over the decades that followed. This essay argues that, restored to their proper place at the center of U.S. policy, the Four Freedoms promise a more principled and more effective grand strategy than the "Global War on Terrorism." Part I introduces the argument that the Four Freedoms remain both solid law and wise policy. Part II describes the historical origins of the Four Freedoms. Roosevelt proposed them as a package based on his faith in the merits of American civil rights and his experience facing widespread want and fear. Part III examines the ways in which definitions of the Four Freedoms - particularly the Freedom from fear-drifted during the Cold War Era, plucked apart by those seeking to promote one or another freedom, ignoring FDR's original formulation of the Four Freedoms as a package. Part IV further develops the proposition that the Four Freedoms present a compelling paradigm for peace and security today. The essay concludes by returning to the Anglo-American security partnership which forged the Four Freedoms in 1941 and calls for a recommitment to the vision of a peaceful world articulated by FDR and embraced by Winston Churchill, among others. When the Four Freedoms are treated as a package, they offer not only inspiration but also a well-balanced framework for formulating effective policies, addressing such issues as sustainable development, trade, and inequality, as well as dealing with the threats posed by radical jihad. Tanenhaus on "Barack, Bill, and Me"
Legal historians tend to think of the University of Nevada Las Vegas legal historian David Tanenhaus as the mild-mannered and respected editor of the Law and History Review. But last week Fox TV commentator Bill O'Reilly accused him of supporting a terrorist. Tanenhaus published an essay in Slate, describing the way he met Bill Ayers and his wife Bernardine Dohrn in Chicago in the 1990s because of a mutual interest in juvenile justice. Ayers' ideas about juvenile justice reform, Tannenhaus suggests, had an impact, and the approach Ayers promoted was ultimately widely accepted, and supported by Governor George W. Bush in Texas. in the history surveys I teach to undergraduates. I do my best to place them in the context of the radicalism of the late 1960s. I sometimes find it hard to believe that the Bill and Bernardine that Barack and I met in Hyde Park in the 1990s are the same people that my students are learning about in class. I know them better as the couple that invited me into their home in 2000 to meet their extended family, make gingerbread-cookie houses, and share Christmas dinner. Our conversation that night, as it almost always did, focused on the future, not the past. But there is more in the shape of a scrupulous attention to local historical accounts which allows Stuart Banner to capture a very real flavour of specificity and difference in a range of geographical spaces. I have frequently noticed with regret (and sometimes noted in this Review) that accounts of Antipodean histories which originate in the United States often seem to be filtered through a peculiarly American sensibility and set of assumptions about the nature of law, for example, that render their own histories all but unrecognizable to the subjects of such discussions. Banner, on the other hand, clearly writes from within the particular local knowledge of the places he describes, the result of scrupulous research and excellently chosen sources. Both the acknowledgements and bibliography in this book attest to an intimate knowledge of local research materials on the places examined and to consultation with local scholars and other experts. Or, as he puts it: ‘The research for this book required travel to some very nice places’ (p.i). And it is ultimately that, I think, which makes this such a satisfying book. For all the above reasons, I found this account exciting and original in its historiography and in the political economy of colonization and land that it presents....There is no way in a short review to do justice to the richness of detail within this book. I shall use it as a teaching resource on culture, colonization, and land, but would also recommend it as a fascinating account of a significant foundational period in the history of each of these places. Above all it is a book that enables us to understand better the interconnectedness of our geo-political world. The Founders' Second Amendment: Origins of the Right toBear Arms by Stephen P. Halbrook (Ivan R. Dee in association with The Independent Institute, 2008) is reviewed by Robert J. Spitzer, Distinguished Service Professor, Political Science Department, SUNY Cortland in the Law and Politics Book Review. "Is it possible for the NRA’s lead la wyer to produce writing that would ever deviate from this organization’s longstanding fealty to unfettered gun rights?" Spitzer asks, noting that Halbrook fails to mention this detail in his bio for the book. "It is a fair question. The nearest proximity to an answer lies in an evaluation of the work based on its own merits." Halbrook’s analysis covers the colonial period, the Revolutionary War, the period of Constitution formation and adoption, the formulation of the Bill of Rights during the First Congress, and the early Federal period. The book concludes with a brief summary of how, in the author’s view, the amendment should be interpreted today. Suffice it to say that Halbrook’s view closely matches that of the HELLER majority. In his lengthy chronicle, Halbrook searches documents, text, letters, articles, speeches, and other references to guns, arms, and rights. In Halbrook’s telling, the revolutionary struggle against the British, the establishment of the American states and state, and the eventual addition of the Second Amendment, involved militia activities by citizens of the sort referenced in the Second Amendment, which says: “A well regulated Militia, being necessary to the security of a free State, the right of the people to keep and bear Arms, shall not be infringed.” But Halbrook also insists these activities enshrined, and are inseparable from, an individual right to have guns unrelated to militia service, in the way modern-day individualists choose to read the amendment. The underlying problem with Halbrook’s analysis is three-fold: first, it tries to paste a modern concept into an historical construct; second, it leaves by the wayside any context, evidence, arguments, or complexity that does not support his point of view; and third, Halbrook pursues his task like a lawyer trying to persuade a jury rather than like a researcher trying to understand what the past actually shows. Thus, historical references to individuals and guns prove his argument, but evidence that shows the opposite also somehow proves his argument, too. In Halbrook’s view, any early American who had a gun was exercising an “individual” right, regardless of who, why, or under what circumstances. A non-falsifiable argument may sway a jury, but it is not social science. Drawing on a classic essay by Hans Kelsen, this Article addresses the status of indigenous peoples in international law. It argues that the criteria for determining the legal existence of indigenous peoples in international law are a function of the nature and purpose of international indigenous rights. The twentieth century legal history of international indigenous rights, from their origins in international protection of indigenous workers in colonies to their contemporary expression in the United Nations Declaration on the Rights of Indigenous Peoples, demonstrates that their purpose is to mitigate injustices produced by how the international legal order treats sovereignty as a legal entitlement that it distributes among collectivities it recognizes as states. The criteria by which indigenous peoples can be said to exist in international law relate to their historic exclusion from the distribution of sovereignty initiated by colonization that lies at the heart of the international legal order. Jack Rackove, W. R. Coe Professor of History and American Studies, Professor of Political Science, Stanford University. It is often said that journalists take the first cut at history. Historians then follow up, after the dust has settled. By then the story looks different, or perhaps there are newly released sources. Other presidential administrations have been subject to rounds of revisionism, and George W. Bush’s presidency will be no exception. A shelf of books has already been produced by journalists. Historians are getting a head start as well, with a collection entitled "W. as History" well under way, edited by the noted political historian Julian Zelizer. I will contribute an essay on law in the Bush Administration. For an early take on the Bush years to be of value, historians should be asking different questions than journalists. Historians can set the Bush years within a broader political trajectory. The question to ask is not simply what occurred, but what the broader narrative is. An early legal history of the administration should not simply walk through the cases, statutes and executive orders. Instead, the starting point is to understand how the President, the Court and others understood the world they have inhabited. And what role has law played in their efforts to manage their world? With this in mind, I was quite curious to see Oliver Stone’s take in W., which premiered this weekend. Stone does not critically engage the context within which the Bush years unfolded. But for all of its limitations, Stone does something in the film that I expect historians will do: he put George Bush back into the history of the Bush Administration. Important recent works on the administration tend to emphasize the role of Vice President Cheney. Cheney’s role, and his efforts to expand executive power and the power of his own office, have been critical. But in some treatments, the president himself seems to fade from view. In this respect, we may well see a parallel to writing on Dwight D. Eisenhower’s presidency. Initial takes on Eisenhower criticized the president as detached and ineffective. But Fred Greenstein and others later called it the "Hidden Hand Presidency," arguing that beneath a placid surface, Eisenhower was a more deeply involved and effective president. Now, Bush II will surely not fare as well in the history books as Eisenhower. And in the end he may not appear to have as central a role as in the current film version. But it is important to ask whether outrage over the role of his vice president has obscured the role of W. in his own presidency. As to Stone’s take on W. as president, he shows a simple man who nevertheless directs his presidency. More important than his vice president is his belief that he was chosen to serve, and is doing God’s work. In case any moviegoers miss this point, Stone turns to Bob Dylan to emphasis it in the musical score to the credits. Seneca Falls and the Origins of the Women's Rights Movement by Sally G. McMillen (Oxford Univ. Press) is reviewed by Tim Stafford at Books and Culture. Stafford finds it "a very readable, brief history—just what someone needs to begin to learn about the early trajectory of women's rights in America." TRIED BY WAR: Abraham Lincoln as Commander in Chief by James M. McPherson (The Penguin Press) is reviewed by Jean Edward Smith in the New York Times. She finds the book "a perfect primer, not just for Civil War buffs or fans of Abraham Lincoln, but for anyone who wishes to under­stand the evolution of the president’s role as commander in chief....McPherson draws on almost 50 years of research to present a cogent and concise narrative of how Lincoln, working against enormous odds, saved the United States of America." 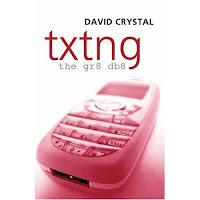 Fans of Louis Menand, particularly his brilliant essay "The End Matter," as well as anyone who has ever met a teenager, will have an interest in "Thumbspeak," a review of David Crystal, Txtng: The Gr8 Db8 (Oxford) in the New Yorker. According to Menand, Crystal's "conclusions are predictable: texting is not corrupting the language," etc. "It is good to know that the estimated three billion human beings who own cell phones, and who use them to send more than a trillion text messages every year, are having no effect on anything that we should care about." The good news: "One of the oldest and most valuable collections of handwritten medieval books in the world" is being digitized. 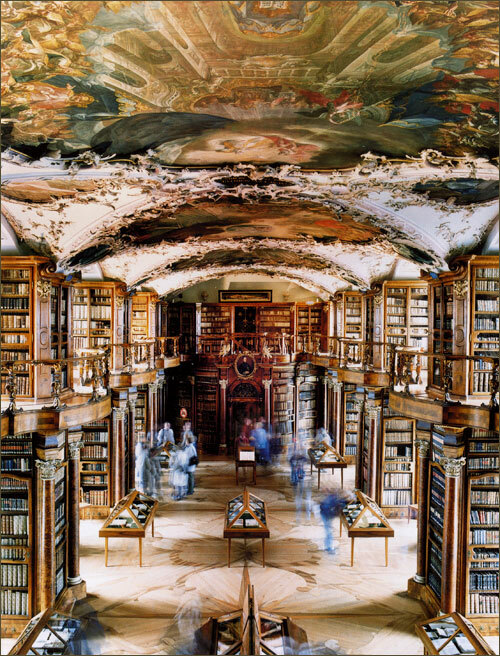 The bad news: you may no longer be able to justify a research trip to St. Gallen, Switzerland and the "magnificent baroque halls" of its abbey library. The New York Times reports the story in today's Arts section. For centuries scholars from around the world have flocked to the Stiftsbibliothek — literally, the abbey library — in this quaint town nestled in the rolling hills of eastern Switzerland, to pore over its vast collection of manuscripts, many written and illustrated before the year 1000. The collection includes material as varied as curses against book thieves, early love ballads, hearty drinking songs and a hand-drawn ground plan for a medieval monastery, drafted around A.D. 820, the only such document of its kind. Andrew W. Mellon Foundation has provided a $1 million grant to support digitization of the library's medieval holdings. At this writing, 144 items can be viewed on-line. The idea to scan the library’s manuscripts — above all, the 350 that date from before 1000 — was born as a reaction to the devastating floods that swept Dresden, Germany, and its artworks in 2002, said Ernst Tremp, an expert on medieval history who is the library director. Your letter raised a very serious question, to which I have given weeks of thought. I believe the course I am pursuing is a wise one, for a number of reasons. 1. Professional success depends in part on specifically technical equipment--”knowledge of the law” and familiarity with court procedure. In at least as large a measure, it depends upon the capacity to cope with situations and deal with people, and upon connections. Up to the beginning of this year, my training had related almost exclusively to the first aspect of professional competence. I think that I may therefore profitably devote myself for a while to developing the second, and in my judgment, more important aspect. Of course, the shift is merely one of emphasis, and I shall continue to maintain contact with the more technical phase of the profession, as I have in the course of the past year. 2. I feel that we are in a rapidly changing world, and that a young man who plans his life with reference to certainty and security runs a risk of falling far behind the times. 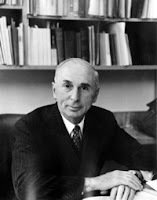 I think that it is difficult to avoid thinking in terms of 1900 or 1910 when a young man who entered the profession addressed himself to the task of filling a niche in a good office and developing routine competence, with a view to stepping into broader fields of activity in middle age after he had established himself. I feel that the only way to plan in our fluid contemporary world is to immerse yourself in it, to lend yourself to its impulsion, to move as close to the center of activity as you possible can, and so to grow and change with the times. 3. This opinion is confirmed by the advice of older men of reliable judgment, and by the experience of people who are roughly my contemporaries. Mr. Justice Brandeis, for example, has expressed himself to the effect that although in ordinary times almost the best thing that a lawyer could do would be to procure a position in the office of the United States Attorney, in times like these it is wiser to participate in the activity in Washington. Moreover, consider the cases of certain of my friends. There’s Tom Corcoran, for example, who at thirty-two had as good a place in as good an office in New York as one could expect, drawing a good salary, well-known, and apparently well on the way to high professional advancement. Nevertheless, he felt that it simply wouldn’t do to continue in the same groove, and so he threw it up and came to Washington. He brought with him four younger men from his office, who had been out of school for only a year or two. He too feels strongly that it is the part of wisdom to remain in Washington during the present period of activity. There is Tommy Austern, with a fine place in an excellent law office in Washington, who feels that he is at a dead end and expressed himself as candidly envious of my position. And there are many others whose situations bear the same significance. 4. The course I have chosen has a much deeper emotional significance for me than the mere matter of attaining an established financial and social position. As you know, the legal profession as such has never meant very much to me. I’ve always thought of it merely as a stepping stone to something else. I have felt and still feel that the only work in which I’ll find genuine satisfaction will be some broad constructive work in the work-a-day world of public affairs. By “public,” of course, I don’t mean necessarily governmental, although I think that there is a distinct possibility that the United States is reaching a stage in its history in which a young man of limited means may quite properly think of government as a possible career. Consider the enormous extension of governmental activity which we are now witnessing; people of trained and flexible intelligence will be needed to run the new machinery. There is a kind of lawyer who differs markedly from the ordinary run. I am referring to lawyers like Brandeis in his day, or Dwight Morrow, or Joseph P. Cotton. They were all of them men whose careers consisted in coping with situations complex, difficult and varied, sometimes specifically legal, sometimes specifically financial, more often more broadly economic or political. There is a faculty for dealing with situations, for devising practical solutions and getting things done, and it was that faculty which they developed, and around which they built their lives. They used the legal profession only as a thread of continuity through their lives, as a line of guidance, as a point of departure. That is the only sort of lawyer that I would care to be. It is difficult, of course, but why not play for high stakes? Each of us in the course of his life has to strike a balance between the need for security and the desire for large achievement. If there is any period in a man’s life in which he may properly honor the claims of adventure rather than certainty, it is when he is young. The risk is real, but I’m going into it with my eyes open. And thus far I have grown considerably during the past year, and that I have made genuine progress toward the condition of a fully developed, powerful personality. If ever I get there, I will be secure, in so far as security is possible to any human being; and I shall be having a hell of a good time in the attempt. We Browse iTunes So You Don't Have To! Harcourt on the "Neoliberal Penalty"